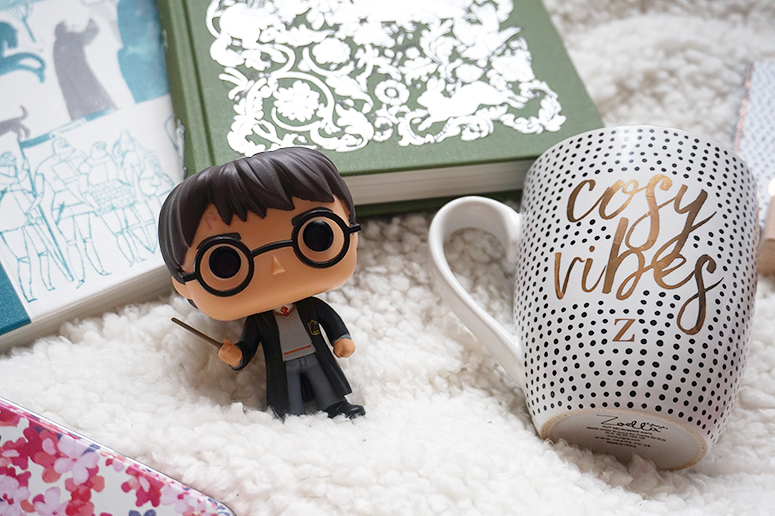 If there is one thing I have more of than books it's socks, but does that ever stop me from buying more? Of course not! 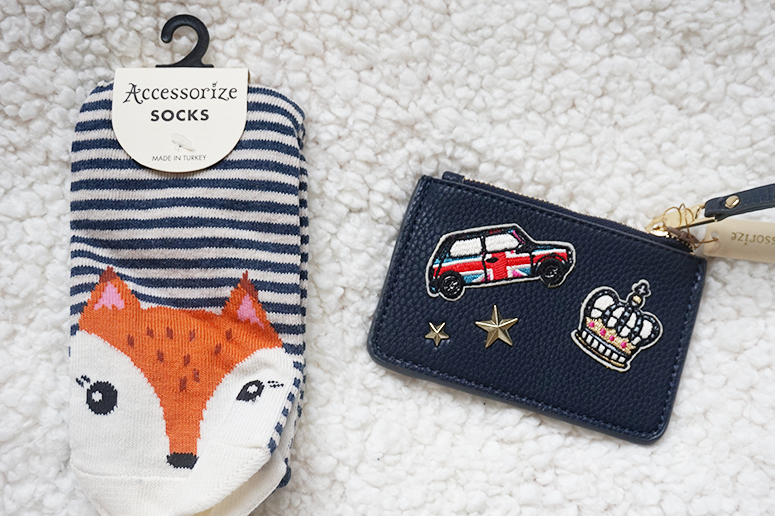 These lovely fox socks were now just £1.22 (from £3.50) and I threw in a spare card holder (from £8 for £2.80) as well, because why not?! Uhm I may have gone a little Zoella crazy this year? At their original price I found most items too expensive but at 50% and 70% off they suddenly became a lot more affordable! 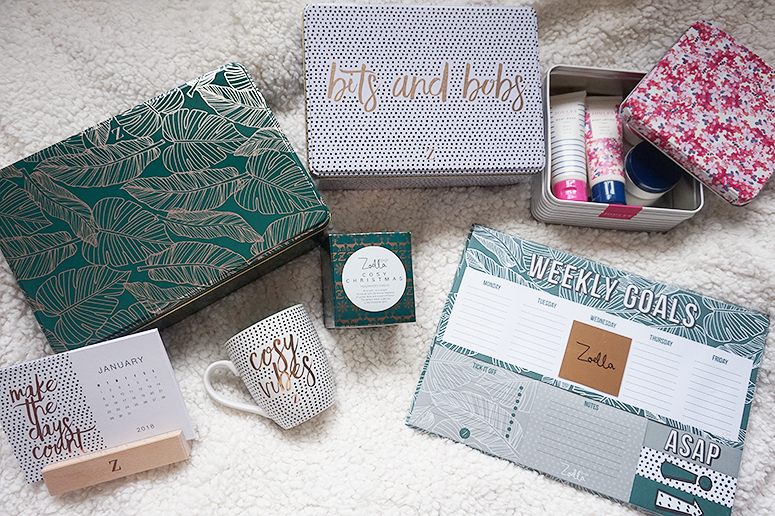 I love the design and so couldn't resist the mug (from £8.50 for £2.55), the weekly goals desk planner (from £10 to £3), the Cosy Christmas candle (from £12.50 for 3.75) which smells EXACTLY like the beautiful festive spice diffuser from Next, a gorgeous little calendar that I'm using to spruce up my work desk (also from £10 to £3) and some storage boxes which now hold my blog photo props (from £12.50 for £6.25). I also love that the products have a subtle 'Z' on them rather than the full brand name, as I can pretend it's the first letter of my own name, lol. The Boots Boxing Day Sale is also especially great to pick up some body and bath treats, and this year I couldn't resist the cute Joules body care set, which includes body wash, body butter, body scrub and body lotion (from £10 down to £5). This year I've overhauled my book shelves by giving away nearly 200 of my books, and they look so much nicer when the books are actually displayed in single rows by genre! I'm especially proud of the shelf that holds all my collectible hardback editions of classics in the most beautiful designs. 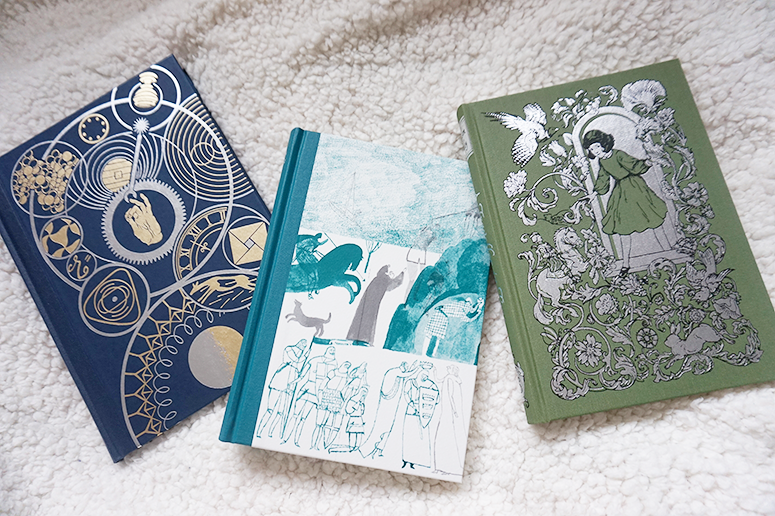 I've wanted to add Folio Society books to my collection for years and their January sale finally got me to cave in! My brother is obsessed with Funko Pops and when we were browsing HMV for him I came across these cuties. 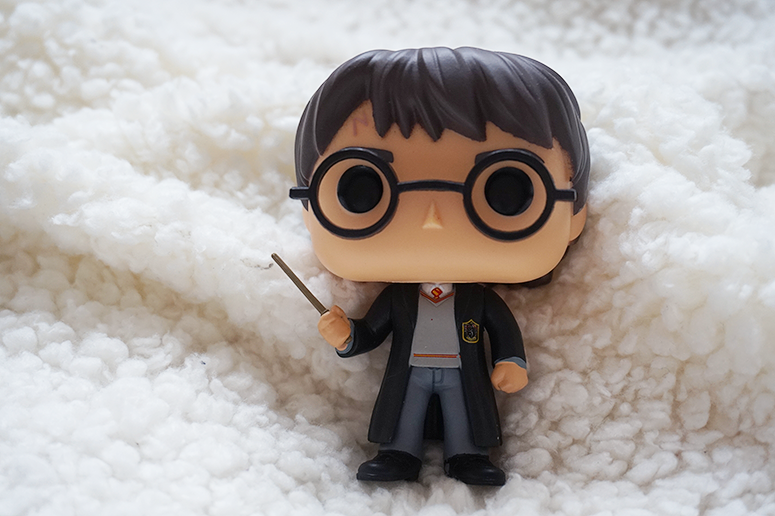 He gave me a Harry Potter Mystery Mini Funko Pop for Christmas and the thrill of opening the blind box is very exciting and so I wanted to get my hands on a few more. 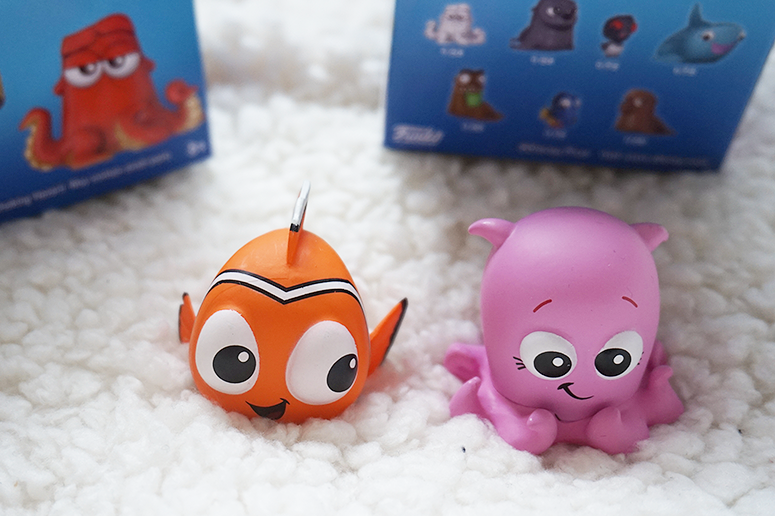 I'm eyeing the Nightmare Before Christmas ones and the upcoming Disney Afternoon series, but for now these Finding Dory Mystery Minis satisfied my needs. For years I've managed to use a MacBook Air with a tiny internal memory as I had my old laptop as a backup to transfer photos from my camera to my external hard drive. However, a few months ago the back-up laptop stopped working and my external hard drive won't work on my Mac unless I reformat it (and lose all my files 😱) so I was in dire need of a new hard drive and John Lewis saved the day. 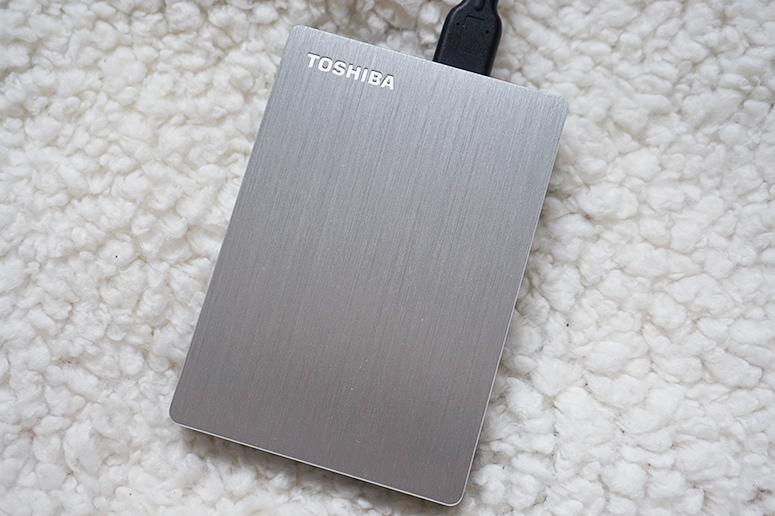 I picked up this 1TB Toshiba Slim Portable Hard Drive for £42 (from £59.95). 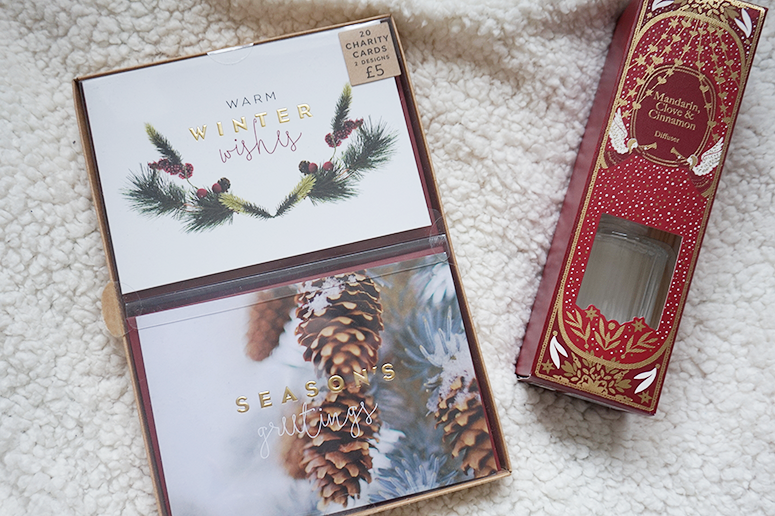 M&S is usually one of my biggest weaknesses at Christmas time as their festive ranges smell and look so good, but I actually still have some of the candles from last year so was able to restrain myself this time around... for the most part. 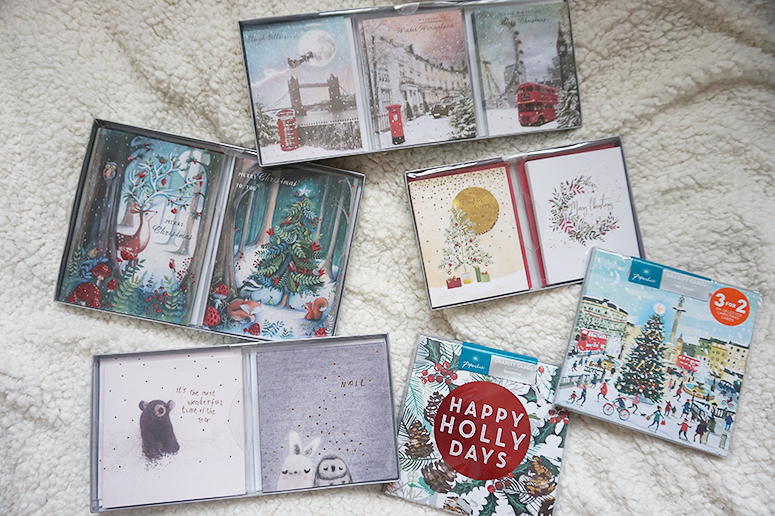 I did pick up a pack of 20 Christmas cards for a bargain £2.50 and the Mandarin, Clove & Cinnamon 100ml Diffuser (my favourite festive scent from all of the shops!) 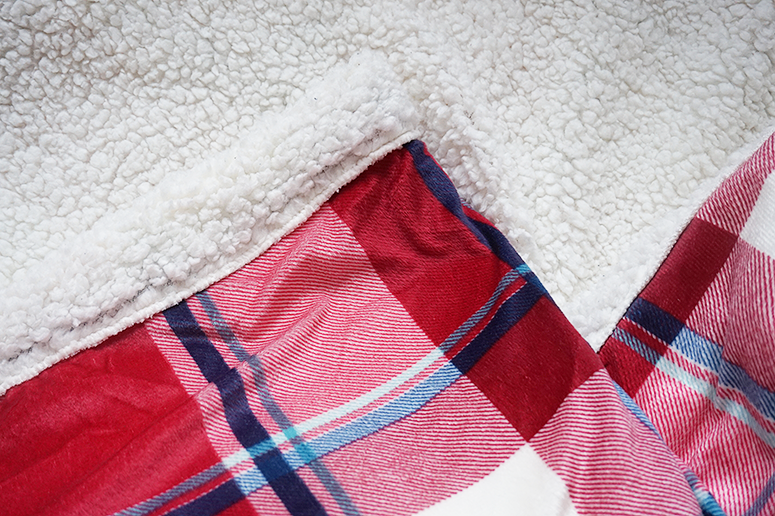 now also at half price, for £7.50. Not that I really need to buy more Christmas decorations (especially after the festive season has come and gone for the year), but when I saw these gorgeous enamel ornaments I couldn't resist. They had an entire collection of animals but I thought the cat, penguin and rabbit were the cutest so I tried to restrain myself to buying only three. These were originally £7 each and I got them for half price. If I hadn't gotten enough Zoella products from Boots already, I MAY have picked up a few more from Superdrug. 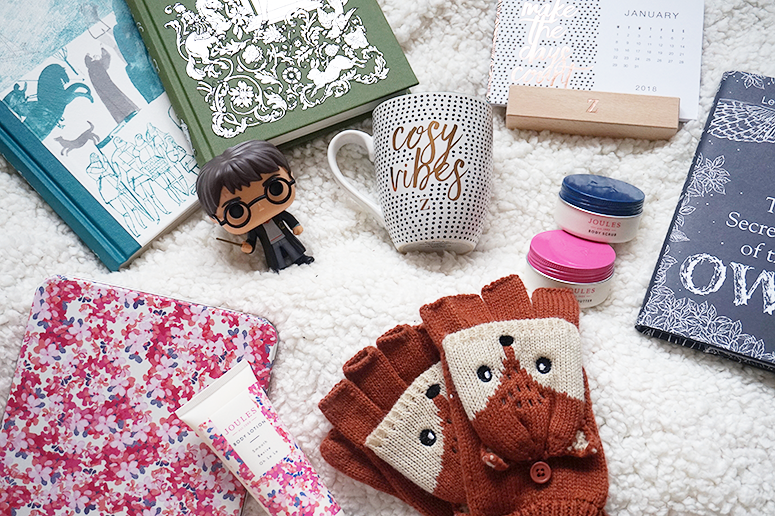 #sorrynotsorry The Snowella Winter Wonder Hand Cream smells absolutely lush and was now just £1.99 (from £6) and the Zoella Sparry Night (containing a body butter and body polish) was also just £1.99 (from £11), bargain! 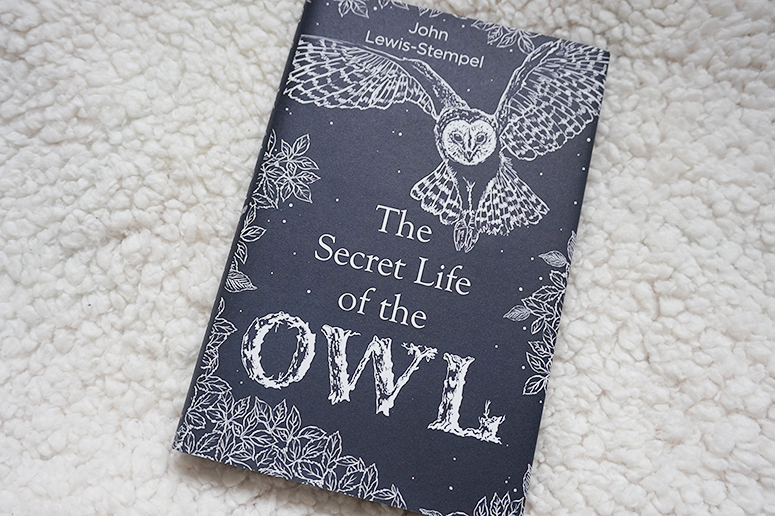 I've been meaning to get into more non-fiction reading, especially educational reads and nature writing, and I also cannot resist a gorgeous cover so The Secret Life of the Owl by John Lewis-Stempel had been on my radar for a little while. In fact, I've been wanting to try something by this writer's hand for ages and so when I came across this beautiful little tome for just £3.99 (instead of £7.99) it would've been very rude not to pick it up. I already devoured the book (and loved it), so keep yours eyes open for a review on Wednesday. And that is my 2017 Boxing Day sales haul (and some January sales when I was back in London) done! Pfew, that was quite a lot... Did you pick up any bargains this season? Let me know in the comments below!